Open Letter: Wind Turbine Health Study, Health Canada – Dr. Magda Havas, PhD. July 25, 2012 (Date posted). Date (sent): July 17, 2012. I would like to congratulate the Federal government for initiating a study on the potential health effects associated with wind turbines. Such a study is very much needed, especially if the government is continuing to support and promote energy generation from wind. As an environmental scientists who does research on the health of both the environment and human populations I am aware of the need for an energy policy that reduces our reliance on fossil fuels, reduces pollution, conserves natural resources and is sustainable. Wind is an ideal technology but it needs to be use wisely and safely, and any technology that adversely affects human health is unacceptable and needs to be regulated to minimize such effects. If the government is serious about this study and if genuine feedback is requested, then the deadline for comments needs to be extended from one month–during the height of vacation season–to at least three months. Without this extension the government is simply “giving the appearance” of consulting with the public and this indicates that it does not want to engage in a genuine dialogue about this issue. Also, I would strongly urge Dr. Michaud and his group to consider all aspects of wind power as the health issues can be with either generation or distribution. If any of these are missing then the study will be incomplete. Also, sensitivity to these “waves” varies greatly within populations and people in the same home may have different sensitivities. Indeed, different rooms (cavities) in the same home may have different resonant frequencies. Havas and Colling (2011) wrote a paper regarding this entitled: Wind Turbines Make Waves: Why Some Residents Near Wind Turbines Become Ill. Bulletin of Science, Technology & Society 31(5) 414–426. The first page of that publication is attached [click here for pdf]. The entire paper is available on request. 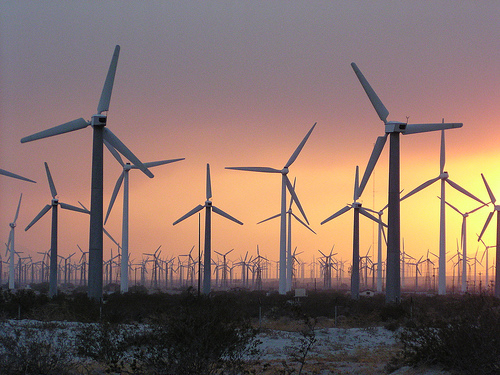 There has already been some excellent research on various aspects of wind generation in both Europe and North America. I sincerely hope that this group will access that research and not try to reinvent the wheel. I wish you success in this study and sincerely hope that your findings will provide recommendations on how to live in harmony with wind energy generation and that this report will not be a government cover-up to support some poorly made decisions to date. To minimize this document being perceived as a cover-up I would strongly encourage you to ask two or more members of different wind-turbine groups who have technical and health expertise to be part of the group that either writes or reviews the final document.